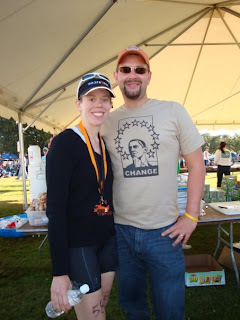 Over 440 hours of training complete this year alone, over $12,000 raised to help end family homelessness since we started this initiative, and one more race to go. My intention is to be relentless - on Saturday and in what comes after. Relentless about seeing the race as a celebration. Relentless about staying in the moment and following my race plan. Relentless in my form, my breath, my focus, and my effort. Relentless about constant forward motion. Relentless about remembering my reasons. 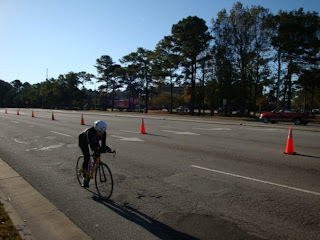 Relentless about knowing that the finish line will really just be my next transition area. Relentless about taking the lessons I've learned over the last two years and continuing to cultivate them. Relentless about living my very best life -- and making that life matter. On to the next pre-race step: What to wear? During this morning's run, the air temperature was in the 30s -- but by this time on Saturday morning, things are supposed to warm up significantly at the race site. Soooo....what clothing will I be bringing with me? In short, pretty much every piece of training clothing I own. - dry clothes to change into at finish line! Shoo!! Am I forgetting anything? By the time I actually get to the start line, I'll be so ready to just turn my brain off and GO! Three short workouts done, two more to go. Pre-race yoga and meditation? Check, check! Pre-race massage? Taking place tonight! 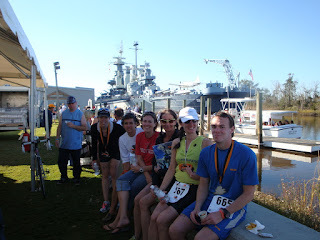 The days are counting down and I'm getting into the nitty gritty details of race prep. As you can see from the above notes, I'm also trying to REALLY ENJOY MYSELF this week. Next up? Making sure I have all race day nutrition elements ready to go. Given the 6-ish hours it will take me to finish, I am not leaving fuel to chance. I'll use what I've been practicing with for every long ride and long run this year. - Start nutrition after I get settled in. 15- 20 min. - 1 Endurolyte per hour, carried in a plastic container in bento box. - Also carry in bento box: 2 Hammer Gels and 1 baggie w/ 4 scoops of Sustained Energy just in case I drop my pre-made bottle. - Hammer Gel at start and every 40-45 minutes after w/ water. Planning to carry 4 gels in my pocket and take with water at aid stations. Not going to wear my fuel belt. 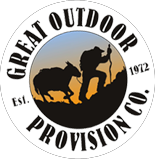 - Carry 1 packet of pre-packed endurolytes in my pocket (not in the plastic container, because the sound of them jumping around irritates the you-know-what out of me!). Take 1 each hour or at the hint of a cramp. - Whatever I can get down. It usually takes a while for my stomach to come around. I'll start with some HEED, but I most often crave fat and sugar ....french fries, a coke, and a milkshake might actually go down first! My last long training run of this season was on Friday morning. After finishing the quick 6 miles around my longtime favorite course, I took the long way home and this song was playing. I passed Duke's East Campus, home of the loop around which I'm sure I've gone hundreds of times this year. 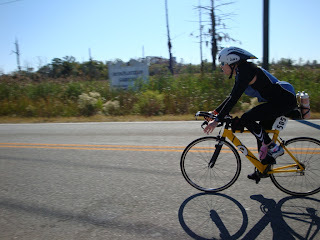 I drove up the hill on which I hammered out several weeks worth of hill repeats during the middle of the season. I drove through downtown and past the pool with the rising sunlight just beginning to reflect against the glass. I pulled into my driveway full of gratitude - for this experience, whatever the result is on Saturday. Thank you to my husband - for emotionally, nutritionally, and financially supporting my crazy fun habit throughout the last two years of training; for putting up with 5 a.m. alarms, the 4 hours gone on Saturdays, and a perpetually tired wife; for keeping me balanced and focused on what's really important. 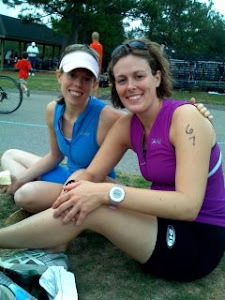 Thank to my sister Rachel - for teaching me how to swim and bike; for joining me on long runs and bike rides even when she wasn't training for anything in particular; for never ceasing humor; for being there for the first 25 yards, throughout first few hundred miles, and at the finish line -- this one and the many more to come in sport and life. Thank you to my coach and yoga teacher Sage - for cultivating my inner athlete; for believing in me when I doubted myself; for teaching me to be flexible inside and out; for helping me connect it all. 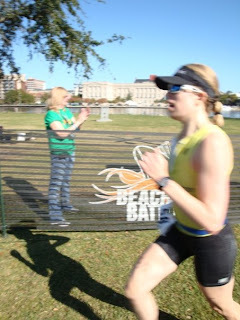 Thank you to my Mom, Dad, sister Holly, Sage Endurance and Team Stayput teammates, other family members, coworkers, friends, - for joining me on the trail, on the road and in the pool; for asking about my training and for talking with me about things other than triathlon; for cheering me on over the phone, through email, and at my races; for generously supporting Genesis Home. 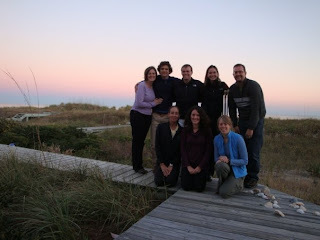 Thank you Genesis Home families - for keeping me real; for giving my training a larger purpose; for all of the lessons. It's been a long season and an even longer two years of training since we started this Tri to End Homelessness campaign in January 2007. But, it's been a journey of self-discovery for which I will forever be grateful -- and if this is what it takes to live my very best life, I'll always choose the long way. On Tuesday, USA Today reported that the number of homeless families seeking shelter is on the rise in cities across the country. Sadly, that's certainly true here in Durham. 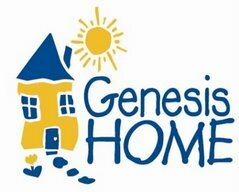 According to Genesis Home Executive Director Ryan Fehrman, year-to-date Genesis Home has provided 9,877 nights of shelter to families with children. That's an 89 % increase - up from 5,215 shelter nights provided during the same period last year. Over the last quarter, Genesis Home served a total of 18 families in the Family Matters program and two youth clients in the Independent Living Program. Totaling 61 individuals, those families include 21 parents, 38 children, and 2 young adults. That's more than double the number of folks served during the third quarter of 2007. Every day for the last weeks, we've ridden the stock market roller coaster, read the bad news, and felt rather helpless. But, helping our neighbors living at Genesis Home is one thing we can do right now.